All this is done with a team of blockchain specialists and lawyers, who deal with every issue the user has. The currency is based on the Ethereum ERC20 standard. 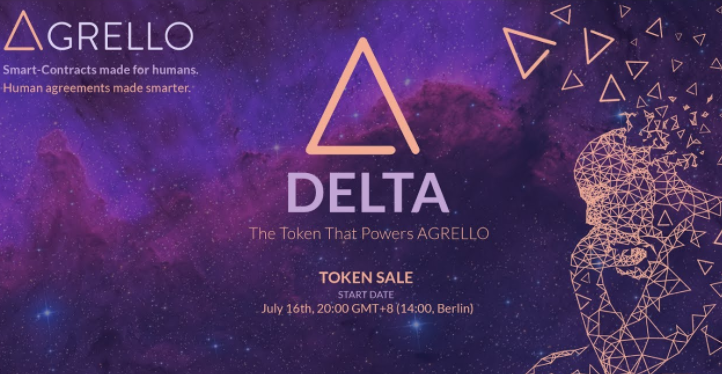 The Agrello coin is called “Delta” and has already been fully launched on the market. As with many other currencies, this happened over time in order to maintain the idea of decentralization. The coin is divided as follows: 10% were used for the foundation, 7% have partners and founders. Advisors hold 6%, the community pool 4% and the remaining 66% are distributed on the free market. The Delta Coin can be used for any transaction on the platform. It also serves as a means of payment for the experts consulted on legal matters. The system behind Agrello works in such a way that the user is provided with an interface on which he can find an assistant, the Al-BDI Agent, as well as some sample templates for contracts. Al acts as a personal consultant, reminds you of rights and obligations when drawing up a contract and makes recommendations for drafting the contract. Nevertheless, the user retains control of the completed contract at all times. The contract templates are drawn up, checked and localized by lawyers and legal assistants. Depending on the qualification and feedback of the user, the specialist receives his payment in the form of Delta Coin. Behind all of this is a legally protected code. 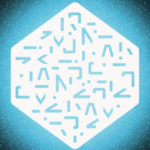 The contract created on the platform is translated into an Agrello Smart Contract. This is then transferred to the block chain. At the same time, a legally valid document is created in normal writing, which only needs to be digitally signed by the user. Agrello is a team of Estonian lawyers, academics and information technologists. The company is based in Tallinn, Estonia. Leading project manager is Hando Rand, who is also a legal researcher at the University of Tallinn. Rand works with four other legal and block chaine experts. Agrello’s vision is to change the world with legally binding digital contracts. The team sees an application of Smart Contracts almost everywhere. For example, in the “sharing economy”. In an age when almost everything from bicycles to cars can be rented, smart contracts can play a major role in the future. They could also be used for employment or freelance contracts. You could also minimize the human resource department of a company by integrating the Agrello concept into the company’s own system. Their “smart agreement solution” concept is based on 16 years of research, which they have combined with the 45 years old Estonian legal system. Agrello has already launched its KYC and Digital ID app on Google Play . The most important one is the public platform where legal contracts can be digitally signed. It has huge industry wide applications for all forms of business relationship. The team behind Agrello dealt with the legal situation of the Blockchain very early on. With their unique concept, they want to ensure that smart contracts can be used almost anywhere in the future. Overall, Agrello Coin is very innovative and forward-looking. You can’t buy it directly for fiat on any exchange. You can choose the best altcoin exchange for your region and buy BTC there, then trade it for DLT on exchanges. Read here how you can quickly convert other coins to bitcoin and the other way around.